Now that I've done Black Light, it's time to review its remade version White Light. The concept for this album might initially sound a bit fishy: it's basically the same songs than on their previous album, only a little bit reworked. Re-recorded with slightly altered arrangements. So... what gives? Why bother listening to an album full of rehashed ideas let alone buy it? Well. As I said - and with the exception of "1980" - all the tracks here are songs that already appeared on Black Light. That's true. Were they that radically rewritten? Not really. But most importantly: is it any better? Oh yeah. According to their interview with Queeried (which cannot be found online anymore and is only referred to in Wikipedia - I know, lousy journalism) they originally redid the songs just for the festival season during which they were promoting Black Light. However, the duo apparently liked the outcome so much that they decided to release the new versions as studio recordings as well: "Now these king size live versions have been taken back to the studio and re-recorded. Black Light has become White Light." So that's it in a nutshell. The 9-track album consists of seven (out of eleven) songs picked from Black Light, one new song ("1980") and one alternative mix of one of the song ("History"). The Black Light songs they took were mostly the best ones, though "Just For Tonight" didn't sadly make it which is kind of sad. Other than that, the selection of songs is really satisfying. Now the thing is it's impossible to write about the songs without comparing them to their original versions, which is something I quickly discovered when I was trying to review this album alone. The songs have been revamped with a much more electronic sound even if it might come at the expense of diversity. "Warsaw", the album opener, for example loses its more rock-oriented style and becomes a straight-forward electro tune. Similarly happens to "Time And Space", which arguably gains more drive in the process, being one of the highlights on this album - quite like it was on Black Light. 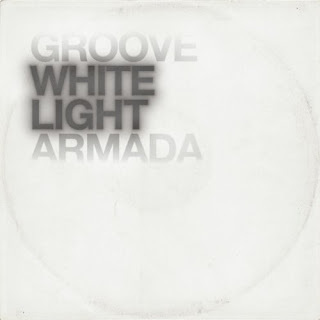 One good thing about the 'uniformisation' of the sound is the fact that the songs feel significantly more 'Groove Armada' now, while on Black Light the '80s influences felt occasionally a tad too underlined such as in "History" and "Not Forgotten" which now have a more distinctive sound although one could as well argue that they ended up sounding more generically electro at the same time. That being said, I can't point out a single track that wouldn't profit from the revamping. Songs that were big to begin with, such as "I Won't Kneel" and "Look Me In The Eye Sister" sound even bigger now, with the latter also retaining some of its initial rock appeal, bringing some welcomed variety to the otherwise quite homogeneous album. "Paper Romance", the stand-out anthem of the original batch of songs, becomes even more triumphant of a stomper. It has hit potential not dissimilar to many MGMT songs - it's just a shame it didn't become the huge hit it ought to be so you're not very likely to hear this in your favourite club or anything. Life's not fair, is it. While White Light doesn't necessarily bring anything that new into the mix, it does succeed in sounding better than its predecessor. You shouldn't even try to look at it as a 'new' album (since that is something it's not, after all). Instead it's more of a remastered edition, an update - a Black Light 2.0, if you will. You can listen to it and imagine how it must've sounded like when performed live: you can see the darkening night, the glow sticks held in the air by the jumping crowd, the brightly lit Glastonbury stage they're conquering. However, they might as well have released an actual live album which would've served the same purpose. Oh well, who cares, the album's great anyway. It's probably more accessible and they fortunately trimmed it of its somewhat excessive '80s elements, sounding more like the duo utilising their own strengths instead of emulating others. So if you feel like listening to some quality electro house to liven up your day, you absolutely mustn't pass over this album. Trust me. Try at least: "Time And Space", "I Won't Kneel", "Paper Romance", "Look Me In The Eye Sister"